Did it ever cross your mind that chairs can determine how effective and productive you are at your place of work? Well, it’s true. The kind of office chair you sit on at work really determines how well you execute your duties. A comfortable chair places you on a pedestal to be creative, helps your mind and body to be relaxed for you to think smartly. Whereas, I can’t over-emphasize what a discomforting chair will do. Thanks to technology. It appears that life knows no bounds. Very soon, our cars would drive us everywhere, our kitchens would cook our foods. Really, when it comes to technology, there is no limit. 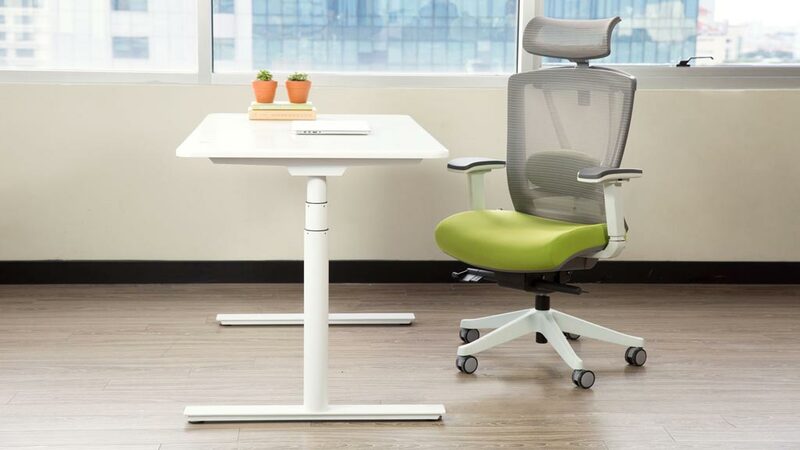 In the same way, there are many chairs that have been designed to meet the modern technological advancement, based on individual choices and bias, to help you feel comfortable and proactive at your place of work. Qualities of Modern Technology Chairs. Modern technology chairs are far better than the conventional chairs we use. They are designed with the comfort and productivity of individuals in view. Unlike conventional chairs which are just designed to meet a particular aesthetic demand, modern technology chairs go a step further. Besides being aesthetically appealing, they are also adjustable so that they can adapt to the user’s needs. Scientific research has shown that the chairs we sit on affect our health definitely — our spine, blood flow, muscles, and tissues. This is why a good chair should be designed in a way that the back-rest, arm-rest, seat height, and so on, are adjustable. All these are qualities that are found in modern chairs. Many modern chairs are made of fine leather material. However, they are not only made with fine materials, but they are also designed to control temperature. Imagine sitting for hours over a project and standing up with a sweaty back. Irritating, right? Many modern chairs help to fix this problem. 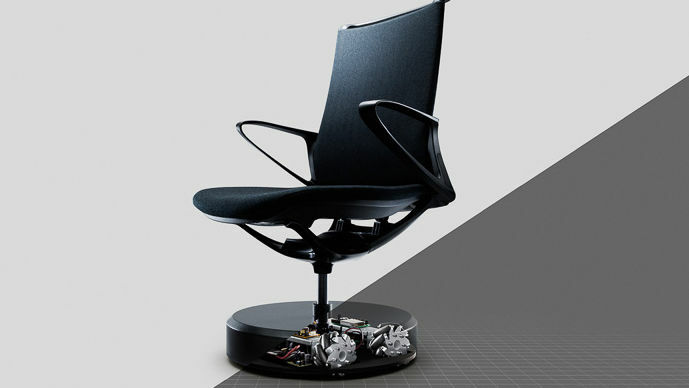 The most recommended modern technology chair that perfectly fits all these qualities is the Ergochair 2 by Autonomous. If you are thinking of what these chairs look like, here is a list of top five amazing modern chairs that technology has helped to develop. Autonomous is a leading company that specializes in the making of office chairs. Their office-chair technology is driven towards making workers more efficient and productive. It also helps to reduce stress and discomfort that may arise from using ordinary chairs. This Ergochair is designed with you in mind. It ensures that everything that will enhance your spine health and comfort is put in place. This ergonomic chair employs the latest technology and is adjustable to adapt your body’s needs. It has a tilting technology, making it possible to adjust it to any angle and in multiple directions. Therefore, you can adjust the seat to suit whatever posture you want to assume. Interestingly, it has a feature that helps keep you cool even in the hottest periods of the year. If you’re really stressed, you can enjoy a nap by adjusting the chair too. This is a very interesting product of technology. Guess what? When you clap your hands, these chairs will move to where they were initially tucked under the table. The chair is designed with wheels that help it to move from where it was displaced to where it was initially tucked. If you’re wondering how this chair knows where exactly to be tucked; they are connected to four cameras in the room which helps them locate where they were tucked. This is beautiful technology! If after a meeting, everyone forgets to return their chairs to the position because they are exhausted or too satisfied from the proceedings of the meeting, then merely clapping your hands will do the magic. An example is the one made by Nissan. They tried to bring the technology of cars to the production of chairs. A very amazing work of technology indeed. This ergonomic office chair is designed in seven beautiful colors. You will definitely find your match. 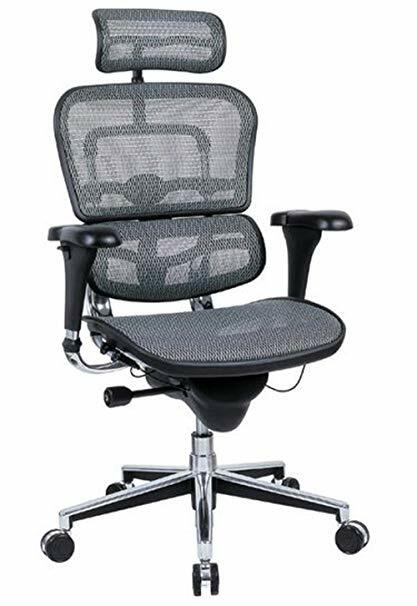 In addition, it features a passive lumbar support which helps to keep your spine healthy no matter how long you seat; a tilt lock to recline and incline so that you can adjust the seat to suit your posture; a tilt tension; an arm height adjustment so that you can comfortably rest your arms; and also a seat height adjustment. This is just perfect! Isn’t it? Besides these, it is also economical for the value. Imagine having all these to enjoy for a token of $100. This chair is quite sophisticated with all that ergonomic chairs have to offer. It has an adjustable seat pan (also called seat glide), adjustable arms, synchro-tilt. In addition, their unique ilira-stretch M4 provides dynamic lumbar support. It may also interest you that this chair comes in about 37 beautiful styles for you to choose your delight. The seat and backrest work together to evenly distribute weight for enhanced blood circulation. 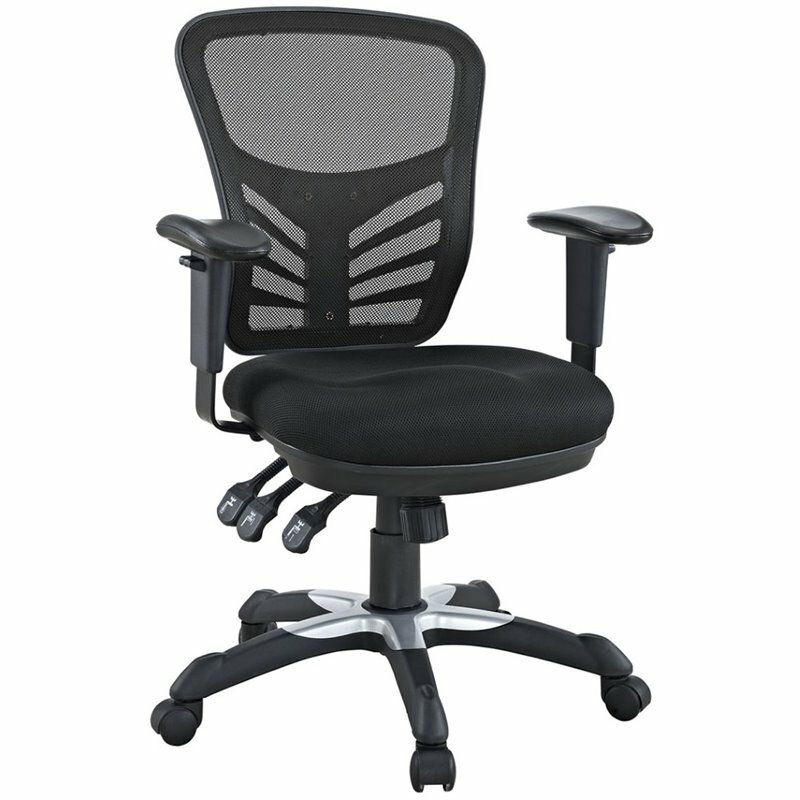 The backrest design also helps elevate this chair to one of the best office chairs that can keep your spine healthy. In the event that you spend long hours sitting down, this chair helps to maintain proper blood flow. Consequently, there would be less muscle fatigue and discomfort. This ergonomic chair features full body, lower back, spine, neck, and head support. The flex zones of the chair help to relieve the pressure points that many other basic chair models do not put into consideration. 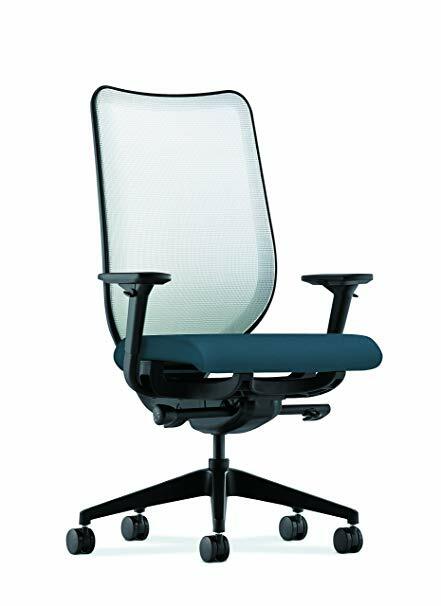 Since it is the executive series of the chair, it comes in an all-mesh, and an all leather version. The all-mesh style aids breathing and also helps to distribute your weight evenly on the chair. It also has an adjustable headrest and a pivoting armrest. You no longer need to leave work with an excited feeling of reaching your home to rest. Technology has made things better. Now, you can rest even while working with these sets of comfortable chairs. Lay hands on one of them to begin to experience what will be your most memorable and productive moments at work. « In What Ways Will Blockchain Technology Impact e-Commerce Industry?